The Buying Local First Award goes to a local company that promotes a strong and diverse local economy–not only purchasing local but also working to increase awareness about the personal, community, and economic benefits of choosing local first. Drizzle Olive Oil & Tasting Room is our winner for this category this year! 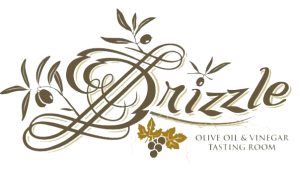 Drizzle Olive Oil & Tasting Room is a popular and tasty local business that prides itself on upholding strict standards and creating an outstanding experience for anyone that wants to pick out amazing oils or eat a wonderful, locally-sourced meal. 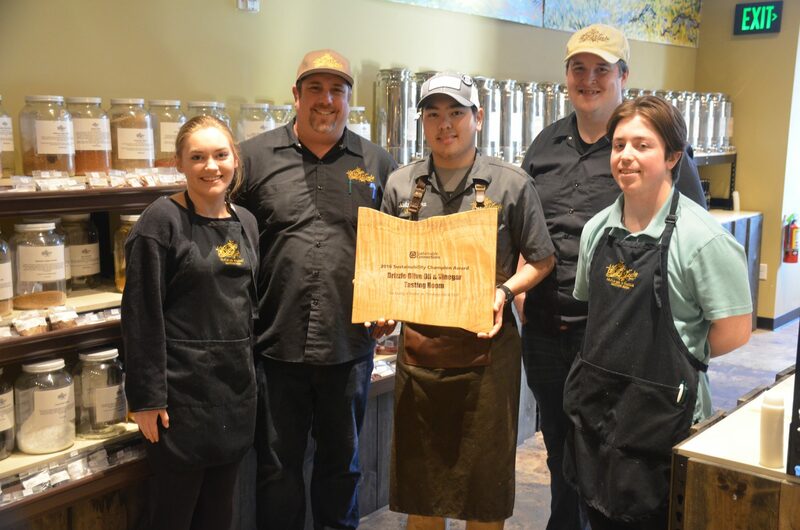 Meals can be enjoyed in their new Lynden location, where the menu changes with the seasons. They offer an amazing variety of house-made spice blends, salts, oils, and vinegars at both their Lynden and Fairhaven shops. Their head chef, Andy Nguyen, is extremely passionate about supporting local farmers in the area, and at times goes as far as driving out to farms to pick up ingredients for their spectacular dishes. Last year, he joined the Steering Committee of the NW Washington Chefs Collective, and is excited about supporting other chefs and restaurateurs in sourcing more local–“It makes sense, it’s easy!” he says. Andy also helped start “Ask the Chef” at the Bellingham Wednesday Farmers Market, where he conducted cooking demos to help demystify unique local produce. From their sourcing to volunteer education outside of their businesses, the owners (Dana & Ross Driscoll), staff, and chef are committed to thinking locally first. When asked why they do such a great job of Thinking Local First, they said, “it’s just what we do seven days a week; we like to do the right thing even when no one is watching.” When asked why the community should support local businesses, Andy & Ross both believe that “it sets good standards, creates jobs, means better products on the menu, and puts more money back into other businesses!” Woo hoo! We love Drizzle, and hope you do too.